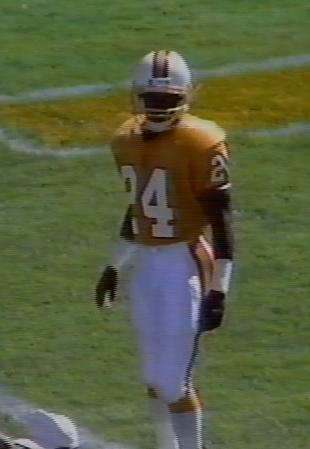 For the first five years of the franchise, the No.24 shirt had been worn only briefly by the soon-to-be-forgotten Roscoe Word in the final month of December 1976. 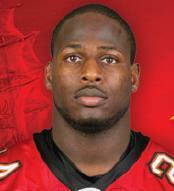 And from then on, the roll of honour for this number is not exactly one of the greatest in Buc history. Roscoe Word was one of those late-1976 signings that were necessitated by how bad the expansion Bucs were, rather than any need for replacement talent. After a bunch of real no-names and special teams' fodder, the only real competition to the Cadillac being the best back was Sylvester "Zip-code" Stamps who had one season in Tampa in 1989. But to look for competition for a best-ever from this list, well we have to go to Tony Dungy's NFC Championship team and its free safety Damien Robinson. 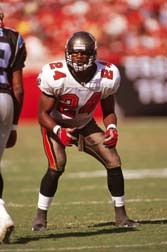 He only started the final two years of his Tampa career and then moved on in free agency to play with former Buc assistant coach Herman Edwards with the New York Jets. Dan Land had one of the longest careers of any Buc replacement player, and Paul Tripoli was one of the few replacements kept on the final roster after the 1987 strike ended, and indeed started the regular season finale that year. 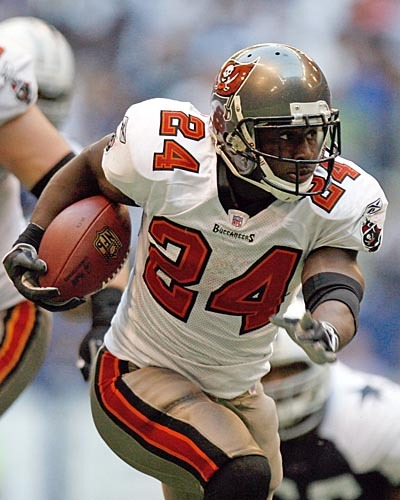 Mike Prior and Jerry Wilson did not do a lot in the No.24 uniform for the Bucs, but both went on to decade-long NFL careers with other teams. So it almost by default that Cadillac takes the honour and although injuries may have robbed him of the chance to be a real star in the NFL, he certainly had a lot of good games and moments for the Buccaneers. 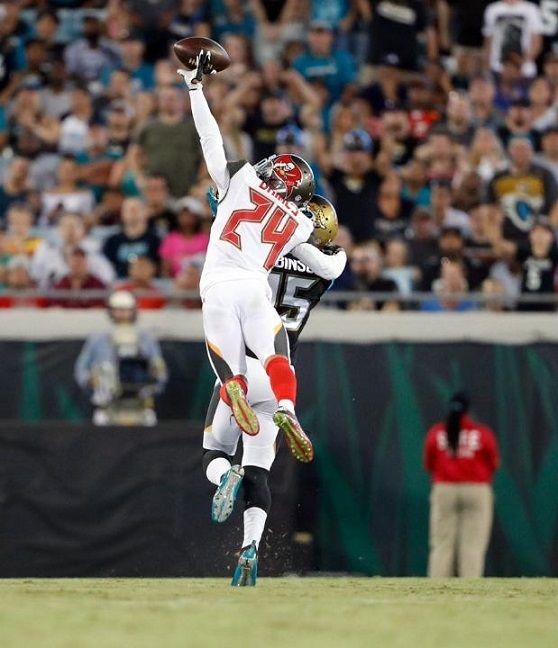 Anthony Gaitor had the number as a rookie in 2011 but handed it over to 2012 top draft pick Mark Barron who had his own chance to establish himself in the jersey for the Bucs before having it over to Darrelle Revis after his rookie season. 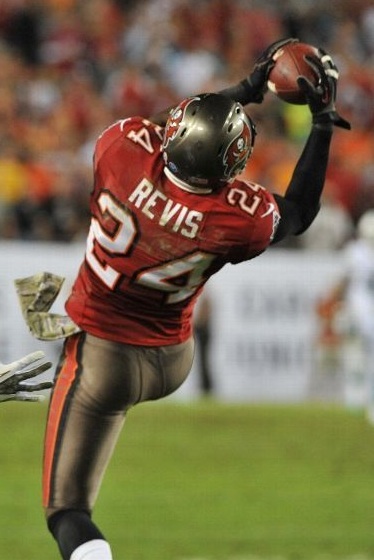 The Revis experiment of course only lasted one year although Brent Grimes' arrival in 2016 and a Pro Bowl alternate selection brought pride back to the cornerbacks to have worn this number.